The HD650 is back stronger and bigger than before. Its impact-absorbing rubber coating and three-layer construction make it extremely durable to protect your contents, all while looking cool. We now offer it in three colors: blue, black, and red. Capacity goes up to 4TB, a milestone for unpowered external hard drives! 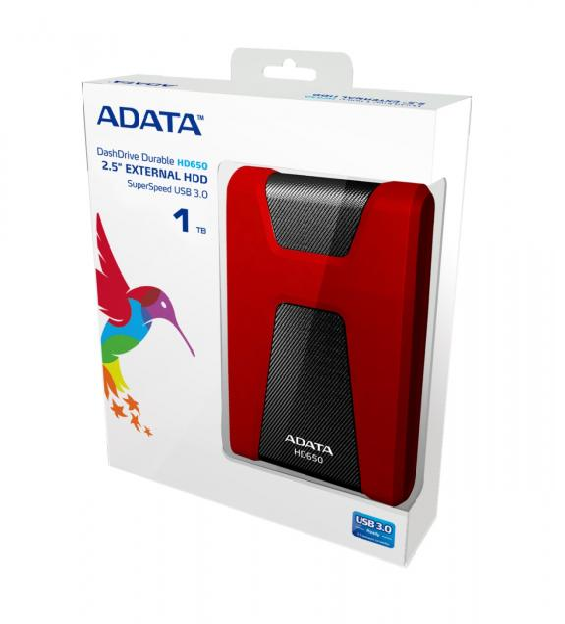 With USB 3.1 speeds and ADATA-backed quality, the HD650 delivers spacious and secure storage. Dimensions (L x W x H) - 121 x 81 x 21mm/4.8 x 3.2 x 0.8"